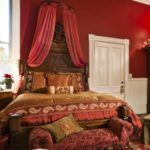 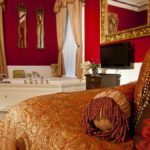 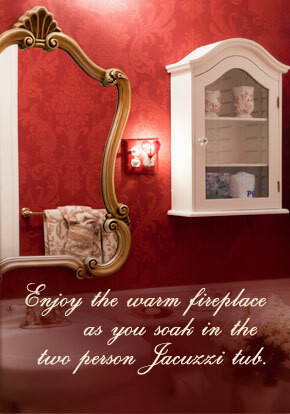 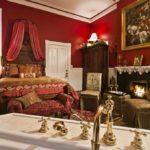 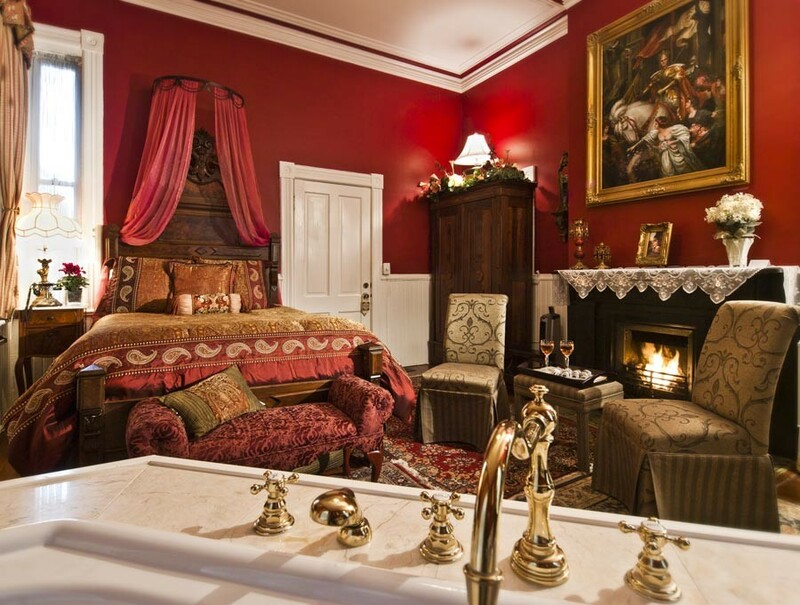 Experience the Gaston Room on the main floor of our Savannah, Georgia B&B, which offers a queen size antique bed and an original working gas fireplace which is perfectly located to view as you soak in the oversized 2 person Jacuzzi tub for a relaxing end to the day. 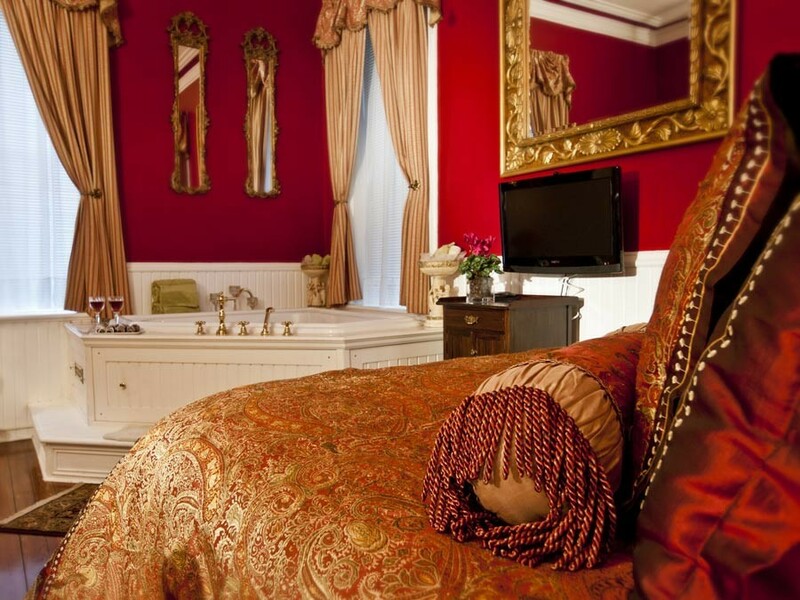 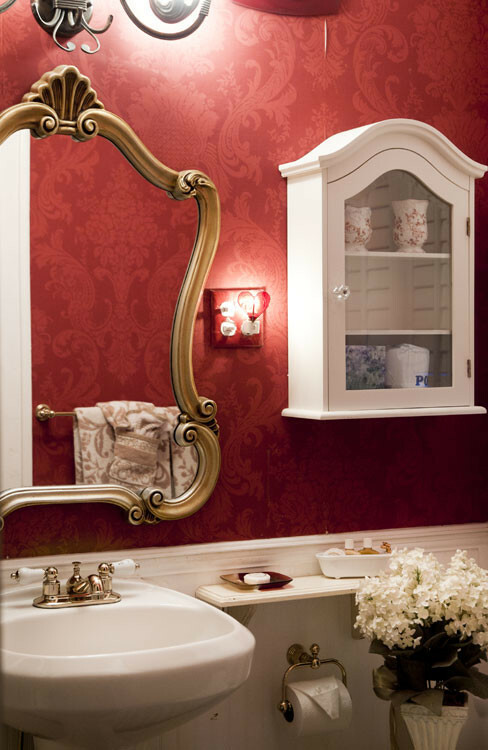 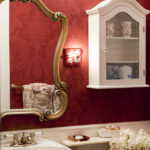 A flat screen TV/DVD player rotates so you can watch while soaking in the tub or as you relax in the Gaston bed. 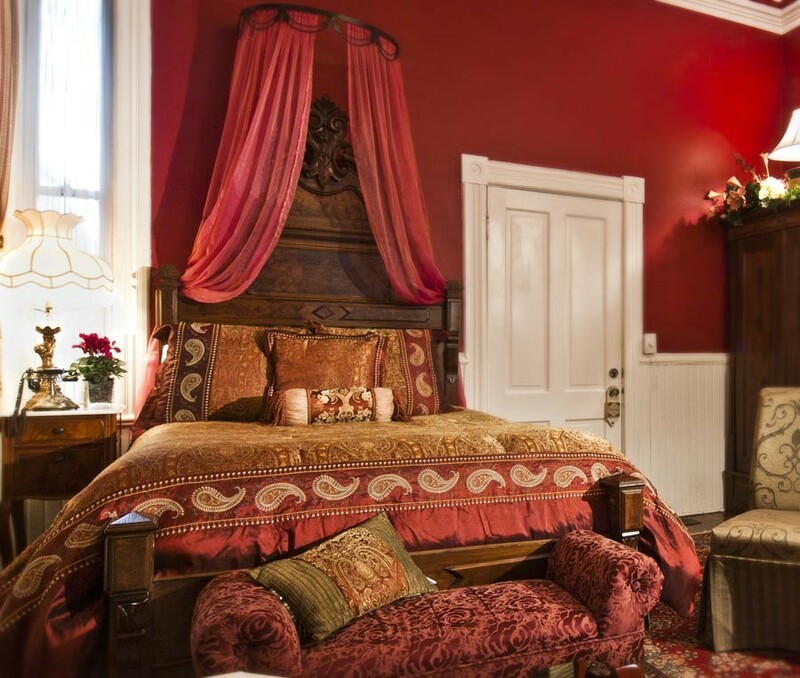 This room overlooks the courtyard and for those who do not wish to climb a second set of stairs, it’s on the 1st floor! 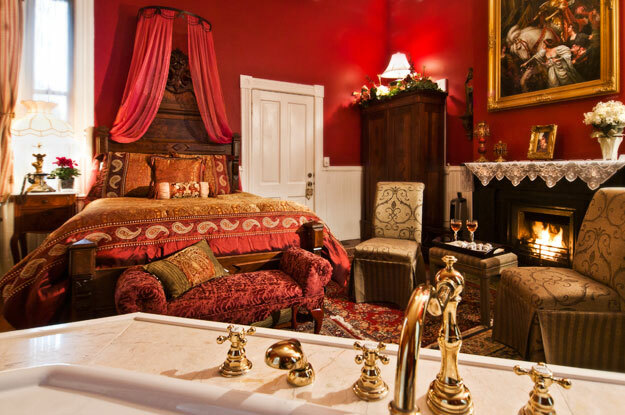 Note: The Gaston Room is on the main Parlor Level next to the Dining Room a common area for all guests during breakfast however it’s one of the more private rooms in the Main House.